The beauty about sleep is the ability to travel to another dimension that is available to us through different wave lengths. The importance of sleep is not just to rest the body but to rest the mind as well. This allows for the body to concentrate on healing itself while the dream state is busy taking us to places available as the thinking mind shuts down and the subconscious can take over. But for many sleep is not something that comes easily, and even if dreaming takes place it’s soon forgotten as we wake up to our world of reality. The Native American Indians believe that our dream time is our real time and the life we live with our eyes open is the dream. This did not make much sense to me till I started recording my dreams in a journal, an exercise I recommend to everyone. A pattern began to form and soon I was happy to fall asleep freeing myself from the everyday mundane tasks that we perform as a way of keeping us alive and well, or is it? 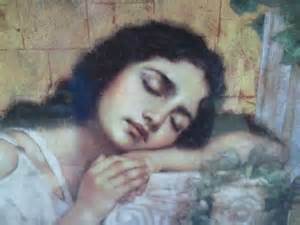 Dream interpretation has been done for thousands of years as a cautionary measure against an event yet to take place or that is taking place without your awareness. But once again we find ourselves being analyzed by someone else just making assumptions. We know best especially when it comes to our hearts intelligence. If we listen more to the innate feelings coming from the vibration of the heart 8 seconds before the thinking mind kicks in, we will respond accordingly. Together the Heart and our bodies ability to heal itself not only creates a happy healthy environment for you to live in but also becomes a platform for the endless possibilities your dreamtime can show you. There are many ways to prepare you for sleep, just like anything else we do it takes the time necessary to calm the body and the mind down to allow for the rest you need to happen. Reading always helps especially if the content is spiritual, and what you absorb before slept can greatly influence the nature of your dreaming. Eating too close to bedtime causes the body to be active therefore making it harder to fall and stay asleep. The worst thing is falling asleep while watching t.v. It’s not so much the content of the program as the frequencies coming from the unit. Electric clocks, blankets, radios, mobile telephones, and outside lighting from the street, utility connections on the home, all play a huge roll in the bedroom environment and the outcome of your sleep time. A lack of sleep can cause wake time irritability and inability to behave in a way that is rational and consistent. If you find yourself in need of a nap take one, use your lunch break to shut down and reboot your system. It’s proven that short naps help align the mind and body functions making you more alert and present. Sleep has been hugely under rated considered by many to be a waste of precious doing time. Yes some need less sleep then others but whether you sleep for five hours or more the quality of your sleep affects the quality of your life. If the Native American Indians are right what is revealed to you during your sleep time can be very important to the paths you choose. The understanding that life happens with eyes closed or opened, and there is no escaping your destiny, so you might as well be rested properly for the journey that awaits you even if its just in your dreams.